Prominent & Leading Manufacturer and Supplier from Ghaziabad, we offer Barcode Generation Software such as Bartender Software and Barcode Label Designing Software. artender Professional is the best barcode maker software with smooth design tools, connectivity and ample features to help you design and generate professional barcode labels.BarTender Professional rises to the top of the pack because of its modern interface and tools to enhance efficiency and productivity. 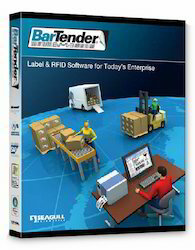 BarTender Professional is the complete package to design and generate barcode labels, QR codes and RFID tags. 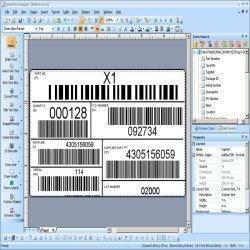 Barcode Label Designing Software is an easy to use barcode label printing software that prints barcodes, text and graphics on standard laser or inkjet printers, in addition to thermal barcode printers.